FREE App ready for your review! The live-sport scene is slowly getting accustomed to an array of apps that make the experience of watching sports even better. Most Apps so far were informative or commercial in purpose, but with MexWave we bring a new app to enhance the stadium experience. MexWave is a new free social App for sport fanatics, to be used before, during and after stadium visits. The app is unique in its setup: Its main goal is to improve the stadium-atmosphere on the one hand, and it breaches the gaps between supporters of different sports. Users can invite other fans of their club to go watch a live event. Once they have arrived at the stadium, the App automatically checks them in, and notifies all friends that are already present. The users can even add a specific location, so finding friends becomes really easy. Now there’s no more need for sending loads of “have you arrived yet”-texts. So far, the App checks users in at thousands stadia worldwide. The available sports so far are Golf, Soccer, American football, Australian football, Canadian Football, Rugby, Basketball, Baseball and Races. You can now Download the App, check in at stadia worldwide and review us! Contact MexWave for more information. Keep score and compare stats with you friends: Who has visited the most stadiums? In how many countries? How often to you visit your no. 1 stadium? Use the Mexican Wave Mode of the App’s strobe light: your flashlight will be activated only when lift your arms during the wave! Each club you support gets its own message board. Add more teams to receive messages about supporter actions and chant lyrics. 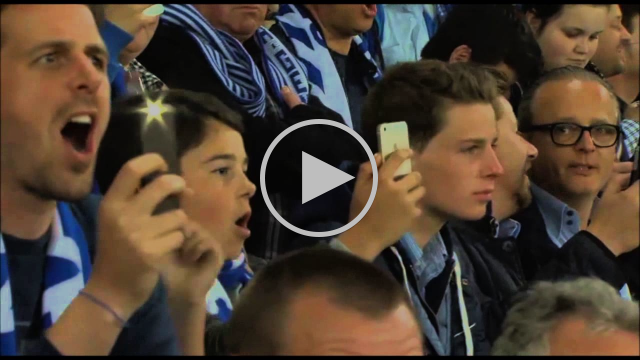 Use the App’s Horn in the stadium (or when watching the game at home, we won’t judge) and make some noise! Or you could organize a noise-wave? Find out which teams your MexWave friends support, and invite them to the next game. Add more teams of players whenever you like.